Find attractions in Susquehanna River Valley, PA and other fun things to do. View our list of attractions, activities, events, restaurants and visitor information. Knoebels Amusement Resort Top Attraction! Where science and adventure are NATURALLY FUN! 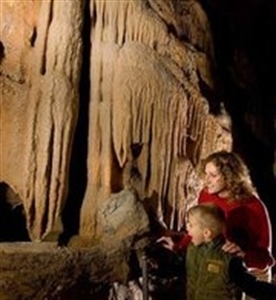 Family-friendly, 1-hour interpretive tours of 2 spectacular crystal caverns. Educational programs, gift shop, campground. Great family eventsOct. Ghosts & Goblins Tours, Feb. Batfest and Jun. Discovery Days. Celebrating 85 Years of Discovery! Where science and adventure are NATURALLY FUN! Family-friendly, one-hour interpretive tours of two spectacular crystal caverns. Educational programs, Raystown Rocks gift shop, campground. In the late 1800's, West Fourth Street was the crown jewel of Williamsport. The city was home to more millionaires per capita than anywhere else in the country. The lumber barons contributed to the boom in home and church construction. The Children's Museum has over 50 interactive exhibits that are educationally based. Special programs and presentations offered each month. Gift shop, group tours, and birthday parties available. All ages welcome. Call for email announcements. Our Mission The mission of The Children’s Museum is to enrich the lives of people in the region by fostering a lifelong love of learning through enjoyable interactive programs and exhibits that bring out the imagination of every child and the child in every visitor. Listed on the National Register of Historic Places, Lewisburg's vibrant downtown features more than 40 specialty retail stores, friendly restaurants, museums, B&Bs, and an authentic Art Deco movie palace showing movies nightly. Experience the unspoiled charm of a 19th century Pennsylvania town with its specialty shops, museum, historic homes, and a busy calendar of events. The majority of Mifflinburg borough is designated a National Historic District and boasts 19th century architecture throughout. Free admission for families with special needs members During this unique program, the museum is open just for families with special needs. Extra staff will be on hand to help you and your family get the most out of the museum's exhibits and activities. Admission is FREE for families with special needs members. Joseph Priestley House is a National Historic and Chemical Landmark where visitors can investigate the ideas and contributions to American history of Joseph Priestley (1733-1804), noted English theologian, educator, natural philosopher and political theorist. Join our sisterhood of supportive peers and role models! Meets 1st & 3rd Thursdays 4:30-5:30 p.m. October 2018– May 2019 Girls Who Code is a free after-school program for 6th-12th grade girls. Join our sisterhood of supportive peers and role models using computer science to change the world. Activities designed to compliment hoeschool curriculum HOMESCHOOL HANGOUTS Every other Wednesday 11-1p.m. during the school year beginning Oct. 10th-Dec 19th, resumes in January. Parent/child activities designed to compliment concepts taught in homeschool curriculum, grades K-12. Art and Science Series This a-la-carte class series offers both art and science projects for children ages 6-12. Wild paint projects, DIY Bird Feeders, and race cars are just some of the fun projects waiting for you to create. Pick which projects you like best or try them all. only intact 19th century carriage factory open to the public The Mifflinburg Buggy Museum complex includes a Visitor Center with an introductory video, hands-on workbench and an exhibit introducing the Heiss family, buggy making and Mifflinburg. Internationally recognized early childhood music and movemen This internationally recognized early childhood music and movement program is led by certified music teacher, Kerry Kenny. Music Together® stimulates a love for music, movement, and learning in children ages newborn to kindergarten and the adults who love them. The historic Packwood House Museum is one of the area's hidden treasures. It is open for guided tours and features two major exhibits each year, plus a wide range of other programs. Come meet your favorite superheros! There will be superhero games and crafts. Wear a costume and get $1 off admission. The Heroes Alliance is a non-profit superhero costume organization that was established in 2005. 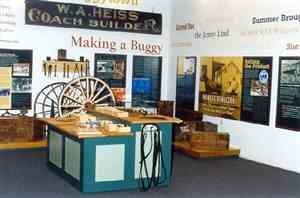 Oldest Antique Automobile Museum in the Country We are the oldest auto museum in the country. W. Emmert Swigart started the museum in 1920. 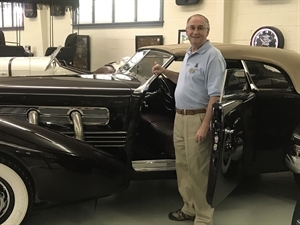 His son WIlliam took over the collection of 12 cars when his father passed in 1949. William grew the collection to over 200 cars before his death in 2000. Hobo Culture of the 1930s Culture Cafe: Global Meets Local Join us for an evening of storytelling, song, tastings, and crafts from places like India, Colombia, Italy, Iran and Japan. Check Facebook for details. Included with regular admission. Oct.